As the California High-Speed Rail Authority chafes at the bit for groundbreaking and moving forward with construction of the first 29-mile segment of rail between Madera and Fresno, it has also petitioned the California Supreme Court for extraordinary action to overrule two Superior Court decisions and allow it to sell Proposition 1A bonds. 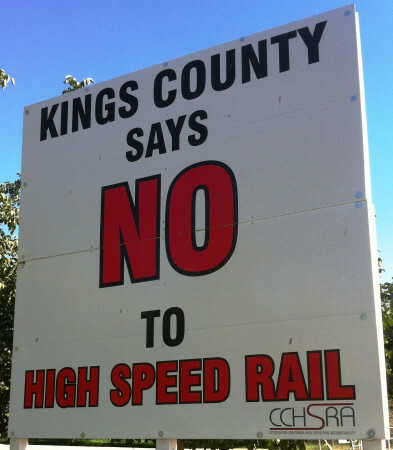 Citizens for California High-Speed Rail Accountability (CCHSRA) and its allies object to this desperate scheme to get quick cash and roll over voters who approved a different project. While Courts are empowered to enforce legislation, and to interpret legislation when the Legislature’s intent is unclear, Courts are not entitled to rewrite legislation. That is particularly the case when the legislation involved is a bond measure presented to and approved by California’s voters. In 2013, a Sacramento County Superior Court judge ruled that neither the authorization for issuing bonds from the California High-Speed Passenger Train Finance Committee nor the funding plan put forward by California High-Speed Rail Authority met the requirements of Proposition 1A, the statewide ballot measure voters approved in November 2008 to authorize the state to borrow $9.95 billion for the rail system through bond sales. 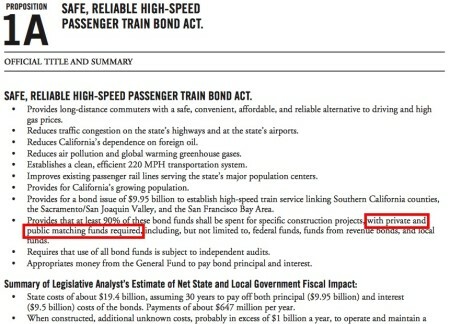 In other words, voters approved borrowing money under certain conditions, but the California High-Speed Rail Authority now wants to borrow it under different conditions. 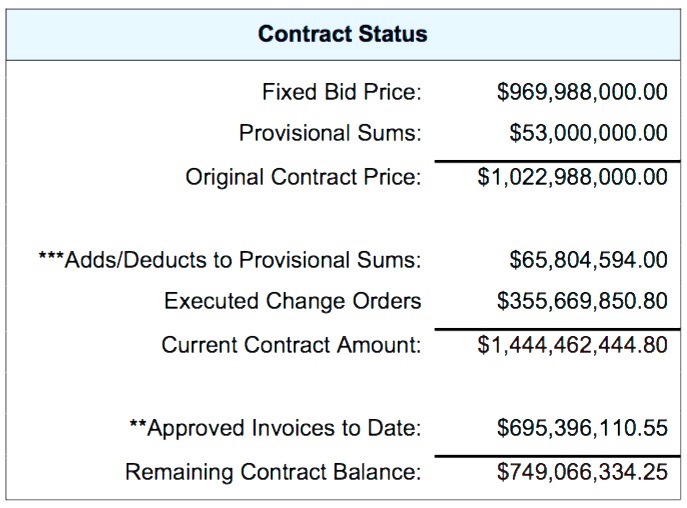 Remember that Proposition 1A told voters they would get a $45 billion complete high-speed rail system connecting San Francisco, Los Angeles, Sacramento, and San Diego. 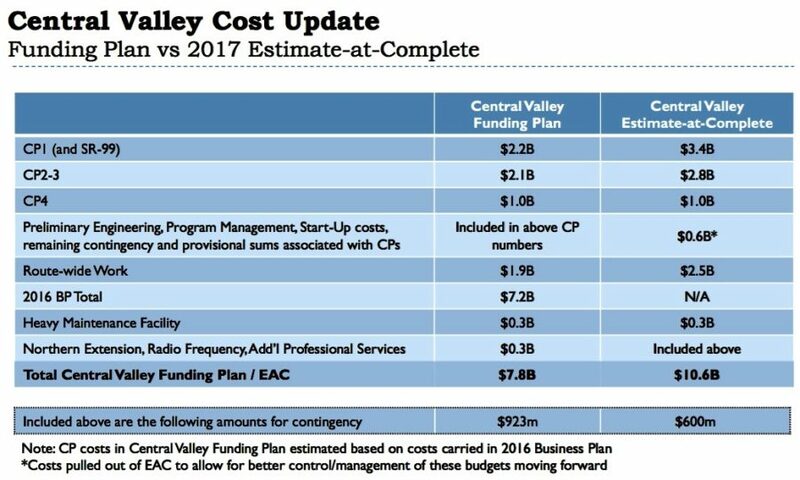 Now it’s a $68 billion “blended plan” between San Francisco and Los Angeles in which the first and last parts of the journey (the “bookends”) are not high-speed rail. Construction of a new high-speed rail segment is most immediately planned for bisecting or demolishing more than 1,100 properties between Merced and Bakersfield. Read the brief at Return by Answer and Supporting Memorandum of Points and Authorities of Real Parties in Interest John Tos, Aaron Fukuda, County of Kings to California High-Speed Rail Authority’s Petition for Extraordinary Writ of Mandate.